Barnes Exterminating offers free inspections and estimates to detect any moisture, mold, mildew and fungus in your home. We will place ground covers on the soil in your crawl space to reduce the amount of moisture evaporating into your home. Any excess moisture left in this area can lead to mildew and rot in the crawl space. It can also cause heavy condensation on your windows in the winter, mildew in the closets during the summer and allergy problems due to molds which can grow in damp wood. 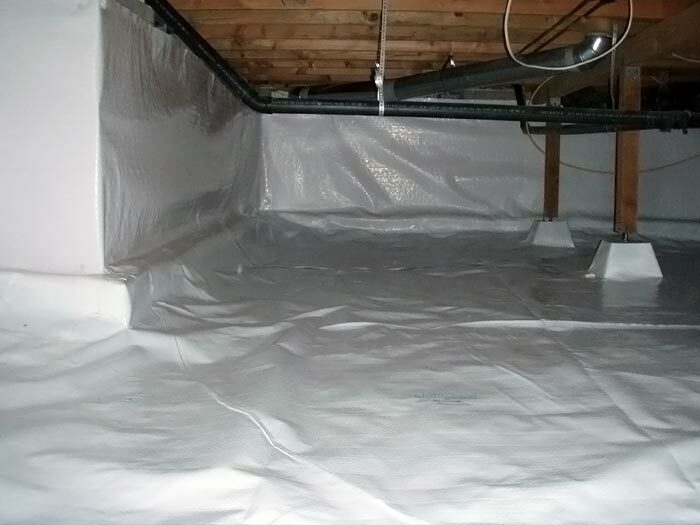 We cover the crawl space with a polyethylene plastic barrier. It is normal to see water beads collecting under the plastic - this is a sign the barrier is working correctly as the purpose of the plastic barrier is to reduce the surface area in which moisture evaporates. We also utilize Timbor, an insecticide/ fungicide/ wood preservative to stop the growth of moisture and protect the lumber in your basement or crawl space. Now Offering Santa Fe Dehumidifiers! Controlling humidity is one of the most important steps you can take in protecting your home, ensuring your comfort and safeguarding your family’s health. Santa Fe provides a full line of high-capacity, energy-efficient, free-standing dehumidifiers that are designed and manufactured for the ultimate in humidity control for basements, crawl spaces and any other inside areas that deserve the best in humidity control. Barnes Exterminating can also install foundation vents in your new home, which is another method of preventing moisture from developing. Our vents are temperature-controlled, and they open and close as needed to properly ventilate the crawl space. The vents come with a 1-year warranty and are available in your choice of black, brown or gray to best match your home's foundation. We also offer replacement of original vents or installation of new vents to the foundation. Call us today to learn more about our new home construction services.